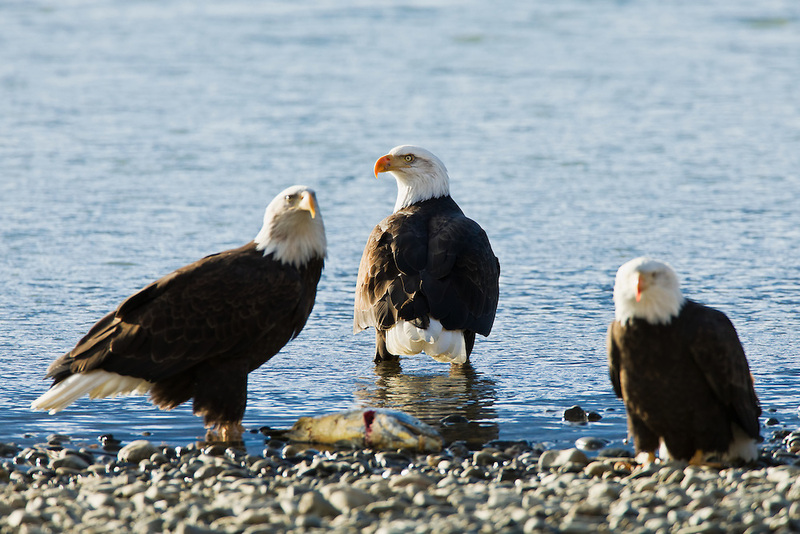 A bald eagle (Haliaeetus leucocephalus) watches for other eagles as it feeds on a chum salmon along the banks of the Chilkat River in the Chilkat Bald Eagle Preserve near Haines in Southeast Alaska. Winter. Afternoon.